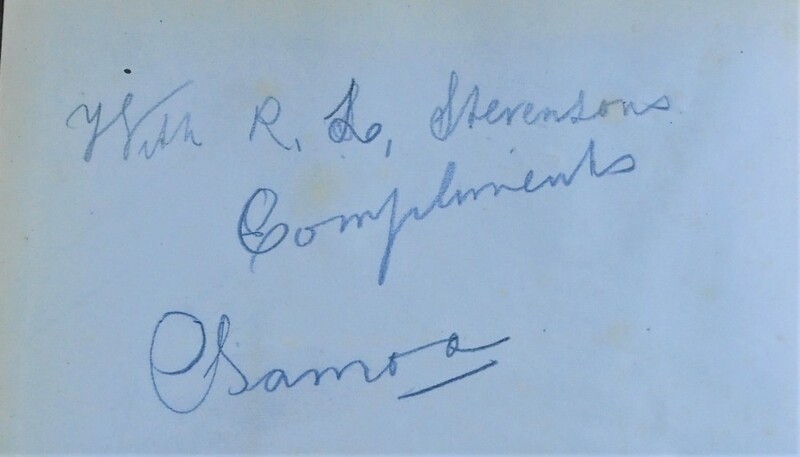 An outstanding association copy with a bold autographed gift inscription from Robert Louis Stevenson to the verso of the front free end-paper "With R. L. Stevensons Compliments Samoa" This book was published in 1877 while Stevenson was still in Edinburgh and almost certainly it was his own copy, which was with him in Vailima, Samoa (1890-1894), and of which, it would seem, he subsequently made a gift. 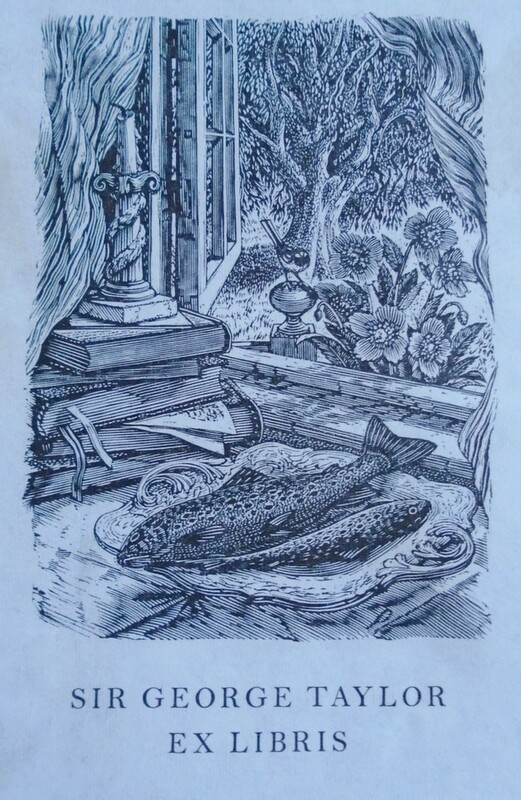 To the front paste-down is the armorial bookplate of Jane Jardine, who was perhaps the recipient of the book. To the front free endpaper is the bookplate of Sir George Taylor [Born Edinburgh 1904, obtained a first class degree from Edinburgh University, went on to become the Keeper of Botany, British Museum; Director of Royal Botanic Gardens Kew, general plant collector and botanist.] 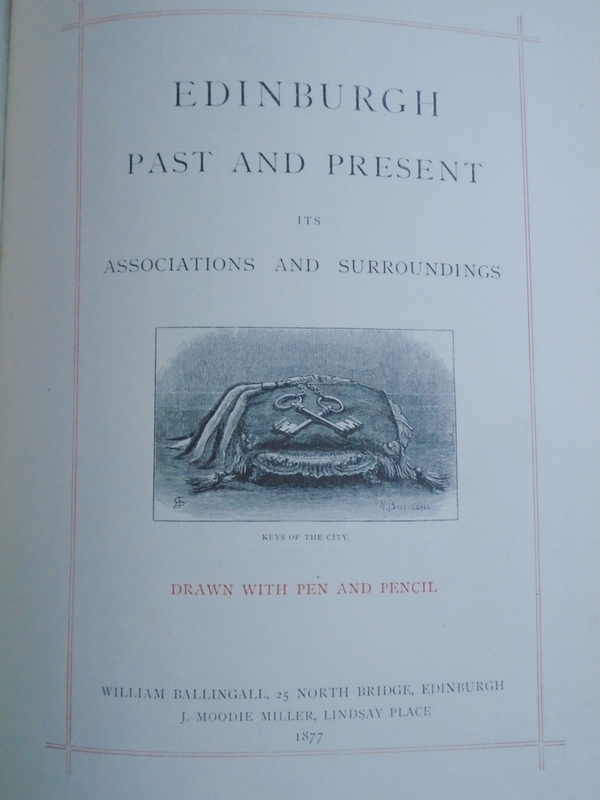 The book itself is the much rarer edition published by the editor William Ballingall, rather than the simultaneously edition published by Oliphant Anderson & Ferrier. Pp xiv, 153; with 32 plates, all with original tissue guards, engraved on wood by William Ballingall after Waller H. Paton, Sam. Bough, James Drummond, E. T. Crawford, John smart, Robert Sanderson, R. Scott Temple and other artists. 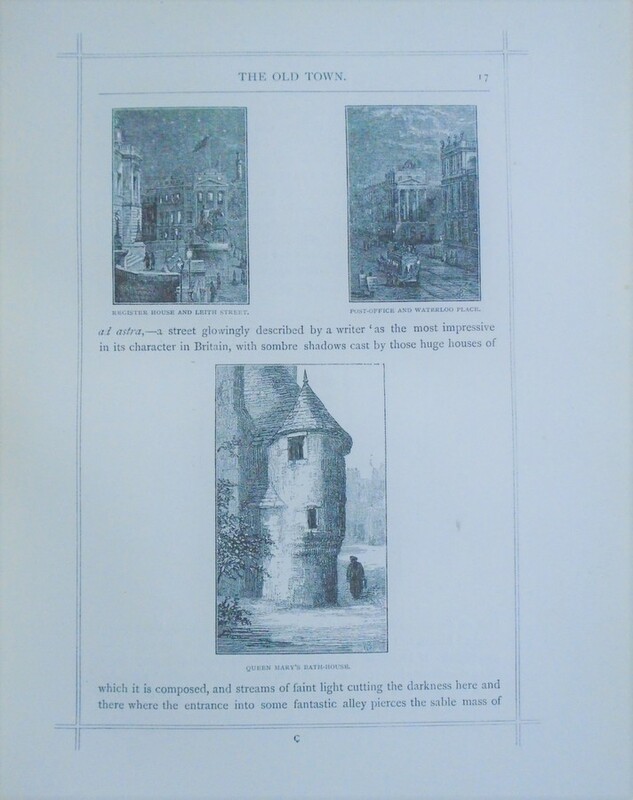 etc; numerous b/w letterpress illustrations in text. 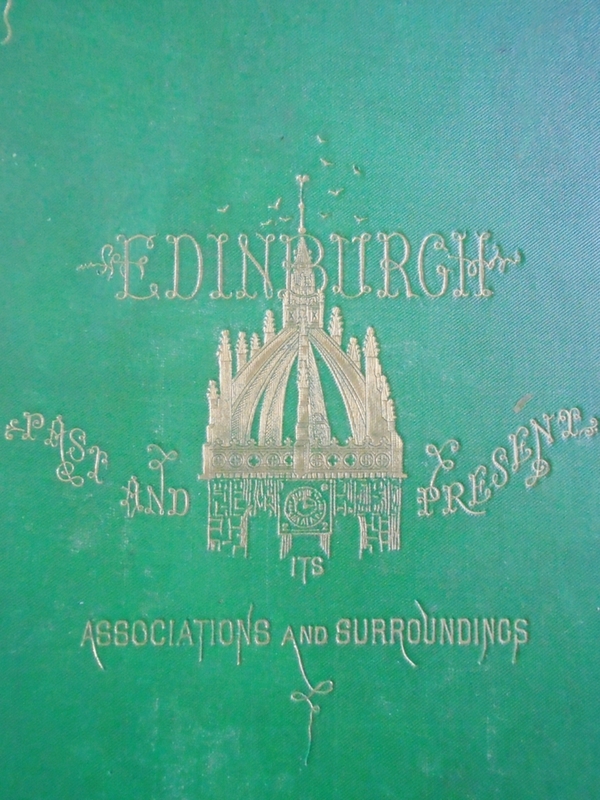 Sections include - A General Description of Edinburgh; The Old Town; From Warriston Cemetery; Historical and Descriptive Notes; Modern Dwellings of the People; Queensferry to Musselburgh along the shore; Roslin, Hawthornden, and the vale of the Esk; Outline of the Geology of Edinburgh and its neighbourhood. Publisher's green cloth with gilt lettering and decoration, bevelled edges to the boards, a little general wear and some rubbing to edges. Contents clean and tight, original brown-coated end papers, no foxing. All edges gilt. Overall a very good copy of this outstanding association copy.